We help families whose children have received a cochlear implant, and follow these children until they reach age 18. Age range of 12 months through 18 years. The earliest age a child can receive a cochlear implant is 12 months of age. There are many benefits to having two (bilateral) cochlear implants such as localization (knowing where a sound is coming from) and listening in noise. The clinic has been providing bilateral cochlear implants since 2008. Children with sudden onset or progressive hearing loss that results in poorer or limited hearing aid benefit. They demonstrate significant benefit from the first implant shown by a minimum of 60% open set speech discrimination. They do not have any other conditions which would prevent safe implantation or suggest limited benefit from a second cochlear implant. Kelly has been a social worker at BC Children's Hospital since 1997. She has worked in the Intensive Care Unit, the Child Protection Services Unit and on the Cleft Palate/Craniofacial team. She graduated with her Master’s degree from Wilfrid Laurier University in 1994 and then moved to BC to work with the Ministry for Children and Family Development for 2 years before coming to Children’s. Kelly began working with the Cochlear implant team in 2008. Raegan has worked as an audiologist, primarily in the area of cochlear implants since graduating from Western Washington University in 2004 with her M.A. in Audiology. Raegan has also recently completed her Doctor of Audiology (Au.D.) degree from Salus University in October of 2010. 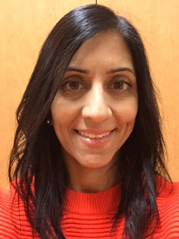 She began her career working with the adult Cochlear Implant Program with the Calgary Health Region for two years, and then went on work with Cochlear Americas as the Clinical Applications Specialist for Western Canada for 5 years. She recently joined the Cochlear Implant Team in August 2011. Ruth has worked as a pediatric audiologist since completing her M.Sc. in Audiology and Speech Sciences from the University of British Columbia in 2002. Ruth joined the team at Children’s in October 2008, primarily working in the Cochlear Implant Services. Prior to this, she was at The Hospital for Sick Children in Toronto working on various teams including the Cochlear Implant Program. Samantha has worked as an Audiometric Technician for over 6 years. She worked at the Western Institute for the Deaf and Hard of Hearing for over 5 years before joining the BC Early Hearing program in November 2011 at Children’s & Women’s. She divides her time between Screening newborns and assisting the audiologists in the Cochlear implant program and Audiology department. Dr. Frederick Kozak is the Pediatric Cochlear Implant Surgeon for the province of British Columbia. He received his BSc. in Anatomy from the University of Saskatchewan and his M.D. from McMaster University. After completing resident training in Otolaryngology from the University of British Columbia he undertook a Pediatric Otolaryngology Fellowship at Seattle Children’s Hospital. Dr. Kozak has been on staff at BC Children’s Hospital since 1992 and has been Head of the Division since 1996. Over the past several years Dr. Kozak has trained several fellows (surgeons in training) from around the world, cochlear implantation and otologic surgery. Once the Cochlear Implant Team has received a referral for your child, the team coordinator will contact you and send you an information package. If you are interested, a family meeting with the team coordinator will be arranged. At the meeting with the team coordinator you will be provided with information about cochlear implants. The coordinator will also explain the assessment process and answer any questions you may have. Following this, if you wish to proceed, several appointments will be booked with different members of the interdisciplinary team to help determine if a cochlear implant is an option for your child. Medical review to ensure that the child does not have any medical conditions that might prevent the use of an implant. Families can expect a minimum of 6 appointments for the evaluation process. For out of town families we try to coordinate appointments so that there is less travel. Once these assessments are complete, the Cochlear Implant team will discuss the results, and determine whether a cochlear implant is recommended. If your child is a candidate for implantation, your family can then decide whether to go ahead. The surgery is done in the operating room at BC Children’s Hospital under general anesthetic. Dr. Kozak is the pediatric cochlear implant surgeon of B.C. The surgery usually takes about 4 hours and the children usually stay one night after the surgery for monitoring. One week after surgery there is a follow-up appointment with Dr. Kozak. It generally takes 3 to 5 weeks for the surgical incision to heal, but most children resume normal daily activities within days after the surgery. However, no active sports or climbing is recommended for 6 weeks after surgery. Approximately 1 month after the surgery, the child will return to BC Children’s Hospital to have the implant activated. At the time of activation, your Cochlear Implant audiologist will set up one or more listening programs for your child. This process is called “mapping”. For the first year after surgery, the child will need to be closely followed every 3 months. These appointments will occur at BC Children’s Hospital. Generally, families can expect 6-8 follow-up appointments for the first year after the child receives the cochlear implant. After the first year, it is 2-3 appointments per year and then later once a year. In addition to these appointments, participation in early intervention services is an essential part of the process of learning to hear with a cochlear implant. Early interventionists are qualified professionals with experience working with babies newly identified with hearing loss. They provide families with the information they need to help their child develop early communication (including listening, language, and speech). We encourage you to work with your early interventionists and cochlear implant audiologist to discover what communication approaches work best for your own baby and family however, it is important to have an emphasis on auditory training.
? ?You need a เล่นเกมยิงปลายังไงให้ได้รางวัลreferral? ?from a parent, audiologist, teacher or physician or to use this clinic. ?Main Building, Room 1D 20 ?